Donated to City of Winnipeg Archives, 2011/13. 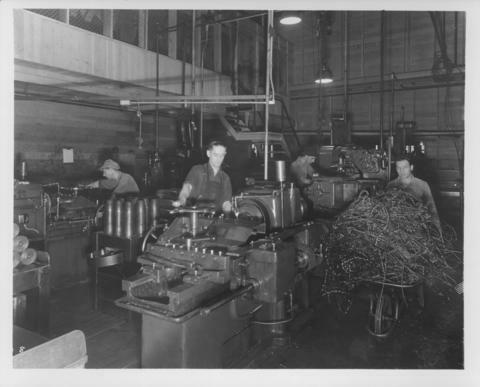 Photograph shows Dominion Bridge Company during World War 2 munitions retooling, workmen grinding shell cases and working with machines in shot. Date of photograph is approximate, ca. 1940.